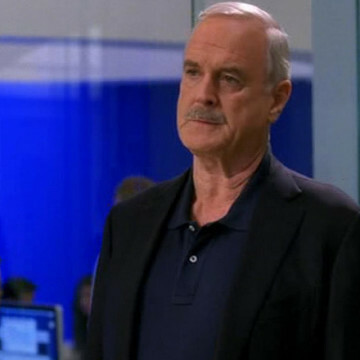 John Cleese guest stars as himself in the finale of Entourage’s seventh season. He spots Ari at his son’s little league game and is quick to notice the tension between the agent and his wife, the result of an argument near the end of the previous episode. During a later scene, John meets with Ari at his office and recommends that he cancel his wife’s surprise party for fear of further upsetting her. Cleese is an English actor, writer, and comedian. He co-founded Monty Python, the comedy group behind films like Monty Python and the Holy Grail.